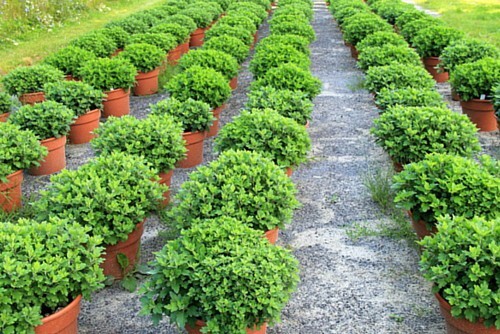 The professional plant pot movers from Rentalorry can easily relocate your plants to your new home. Get a quote now! Plants can be one of the most troublesome and tedious things to move when talking about relocation. This is because they are not only heavy, they are fragile and delicate. When you put so much effort into maintaining and caring for your plant, the last thing you want is to damage your plant when you are moving it to a new home. With our professional plant pot movers, not only can you be assured that your plants are in safe hands, we will also ensure that our movers will do the relocation job cleanly and properly so that there isn’t much cleaning up to do after that. The movers were able to carry the plants quite quickly from the balcony to their truck. Surprisingly they took a lot lesser time than we expected. The transport process of your pot plants is guaranteed to be a convenient and hassle-free one. All you have to do is to sit back, relax and just observe as we handle your pot plants in a fast and efficient way to your new home or office. Our lorries are also fitted with proper mechanisms to ensure that your pot plants are always safe in our hands. Rentalorry’s plant pot movers are well-equipped with virtually everything to ensure the success of each plant pot moving process. RentaLlorry has special adjustable width plant movers to transport matured trees or large potted shrubs. All of the movers are well-trained in using these wheeled transporters, so you can have our assurance that your plant pots will be transported from one place to another in one piece. We provide one of the most cost-effective moving services in Singapore. For us to provide you with a good quotation, it would be best to send us a picture of the plants and also let us know if there is lift access to your home or whether we need to climb the stairs. With this information, we can properly gauge the amount of manpower required and also the type of equipment that we need to transport your plants. This will enable us to provide the best quote for you. Change The Pots – If the plants are in ceramic terracotta pots, we encourage customers to change them to plastic pots before the relocation. This will make it easier to handle as the ceramic pots may sometimes be old and brittle and cannot stand all the moving. Carry Out Pruning – For large plants and trees, prune them so that the plants are not so top-heavy and will not tip over so easily. You can also bind the branches and leaves to their respective bases so that the do not snap while moving. Pack Small Pots – For smaller potted plants, you can arrange them in a box and fill the empty gaps with crushed newspaper. This will ensure that the pots do not shift during the journey and it will also make the moving a lot quicker for you.